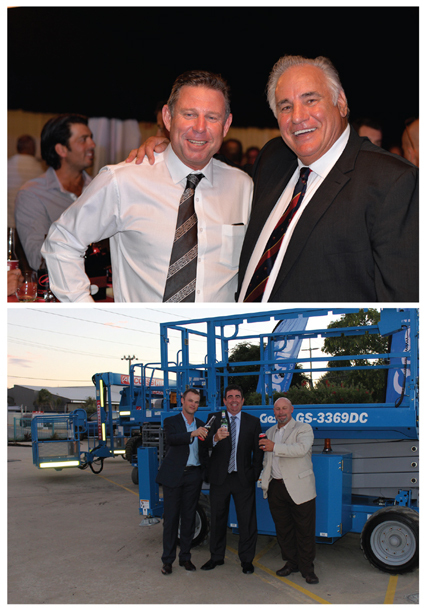 Access Group Australia, a valued customer of Genie Australia, celebrated the opening of their new head office, with an Industry Open Day and evening gala. Showcasing its 5,388 sqm new head office and workshop premises at Catalano Road, Canning Vale (Perth), Access Group welcomed customers, suppliers and industry partners to take a rare behind the scenes look at what makes this multi-dynamic business so successful. The Group, which was formed in 2001 by CEO John Jones and serviced the Perth metropolitan market with just a handful of staff, now encompasses 10 specialist companies that support a 3,000 strong national client base with more than 150 permanent staff and 50 dedicated contractors. A strategic network of regional branches and rural and remote-based project service centres and mobile technicians throughout Australia, combined with an internal transport department that provides secure GPS tracking and delivery, certified training, genuine spare parts service, and 24/7 technical support have all been paramount to the Group’s continued growth. According to Jones, Original Equipment Manufacturer (OEM) partnerships have also been pivotal to the Group’s enduring success. From humble beginnings with just 30 machines for hire, Access Group now boasts one of the country’s largest privately-owned new fleets of equipment for hire and sale with Genie® as their dominant brand. The day culminated with an evening extravaganza that saw “Slammin” Sam Kekovich bring his quintessential Aussie humour to a marquee filled with the who’s who of WA’s construction industry. Group General Manager, Tom Fraser, complimented John Jones and his unique ability to pre-empt and respond to an ever-changing market.